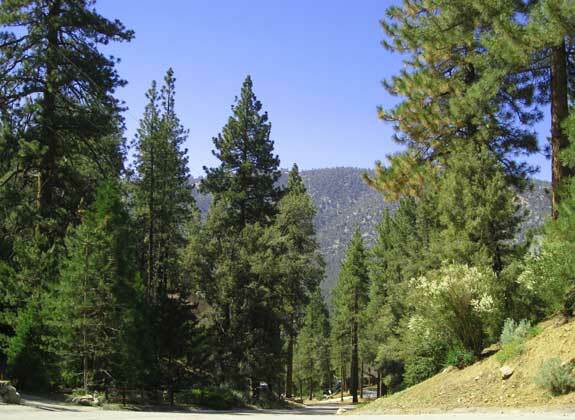 Pine Mountain Club CA Real Estate Blog | Discover Mountain Life, Stories, TIPS, Reviews, Real Estate Information. One of the many things I enjoy most about living in Pine Mountain Club is the abundant wildlife. Some parts of Pine Mountain Club have more bear activity than others. I've never seen a bear around my house but friends in the community see them frequently during the spring, summer, and fall months. 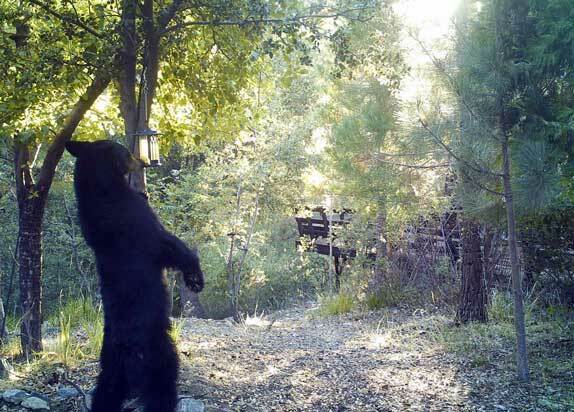 My good friend, Carol, took this photo of a young 5 foot tall bear in her yard. It was taken with her Bushnell Trail Camera. Carol has a year round stream on her property which draws all kinds of wildlife. As you can see from the photo, this bear was intent on getting to her bird feeder. Bird feeders attract bears and should be hung at least 10 feet off the ground and 4 feet away from the nearest tree. Use a rope and pulley system to refill your feeder and clean up seeds that spill on the ground. Once a bear becomes used to being fed around humans they may lose their natural fear of us and this can lead to the bear being killed by wildlife management. Thanks to Carol for the great photo and good luck with your new bear proof bird feeder! The Outlets at Tejon Ranch to Open in 2014! By this time next year, Mountain Residents will have an exciting new option for shopping right in our own backyard. The Outlets at Tejon Ranch is currently under construction and scheduled to open next year. The Outlets at Tejon Ranch will be a new premier outlet retail development, located at one of California's busiest highway junctures. For 150 years, travelers have stopped at the base of the Grapevine for rest, food and shopping. Currently, more than 100,000 vehicles a day pass by this location where interstate 5 and highway 99 come together. With 3.2 million people with high disposable incomes living with an hour’s drive, The Outlets at Tejon Ranch will surely bring new business opportunities for the Mountain Communities. Stores will be announced this fall. 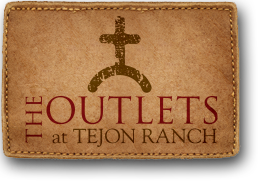 For more information about The Outlets at Tejon Ranch visit the website at: www.tejonoutlets.com. Celebrate the changing of the seasons at this year’s Fall Festival in beautiful Pine Mountain Club. 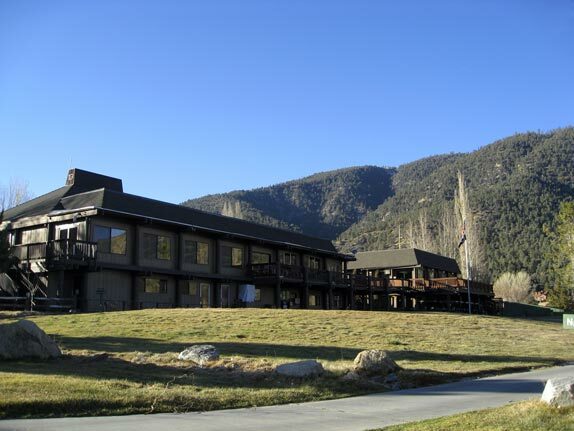 On August 31 and September 1, the Pine Mountain Club Property Owners Association and Commercial Property Owners Association will sponsor the event. There will be live bands, beer and wine, food and craft vendors, a parade, kid’s attractions and much more. The 2013 “Wine In The Pines” event will be held in Pine Mountain Village on June 8, 2013 from 12:00 noon until 4:00pm. This years festival features great wines from some of California's well known and not so well known wineries. There will be great food, entertainment and unique shops to enjoy during your stay. Get away from the heat and congestion for a day of fun, clean air and cool temperatures in beautiful Pine Mountain Club. For ticket information, to reserve a space for your winery or lodging information just visit the link below. The 2013 Lilac Festival will be held on the weekend of May 18, 19 from 9:00am to 5:00pm. This is the 31st year of our annual event that starts the mountain summer season. This years Lilac Festival will be kicked off by the parade on Mil Potrero Highway. There will be live music and shows, arts and crafts, a choice of different food vendors as well as local restaurants and entertainment for children. For more information or if you are interested in becoming a vendor please call 661-242-1996 or click the link below. Saturday's “Wine In The Pines” event appeared to be the most heavily attended wine festival ever and was a resounding success. People from all over Southern and Central California enjoyed the beautiful weather and cool mountain temperatures. Vineyards from across California were represented and delicious foods were served to the sounds of the Von Cotton Band. A special and heartfelt thank you goes out to Clarice Smith and Brenda Gordon for their tireless efforts to make this event possible. There are 3 open seats on the PMCPOA Board of Directors. Members who wish to run for the PMCPOA Board must have their Candidates Package and Letter of Intent submitted to the Club no later than Monday, April 9, 2012 at 5:00PM. Ballots will be mailed to Members and the results of the election will be announced on June 16, 2012. We have been notified by the Kern County Fire Department that hazard reduction/property clearance must be completed by June 15, 2012. 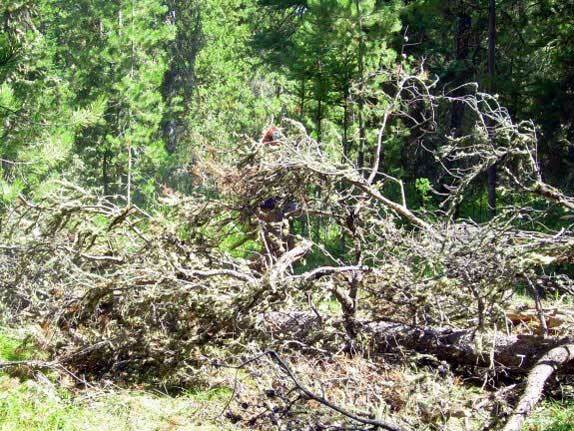 Property Owners in Pine Mountain Club and the Mountain Communities may be cited for brush clearance and if the hazard reduction is not completed by June 15, 2012 they will receive a citation and fine. In addition to the fine they will have to pay to have the lot or land cleared. Property that is not cleared will result in the county hiring a crew to complete the hazard reduction and the property owner being billed. For more information on Kern County Fire Prevention, click the link below. One of Pine Mountain Clubs most popular events will be held this year on June 9, 2012. 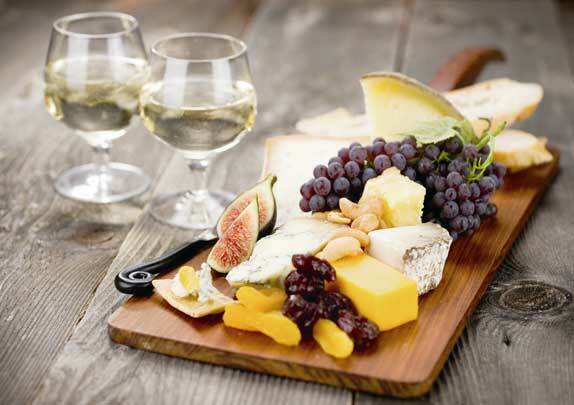 Wine In The Pines features wineries from across California along with gourmet chefs, art displays, live music and a wine auction. For more information on Wine In The Pines, to see the event schedule and to purchase tickets, click the link below. Time: 10:00 am to 5:00 pm. The Museum will have a booth with books for sale and an interactive display. August 11, 2012- Peter Lebec Car Tour-Celebrating the 175TH anniversary of Peter Lebec’s death. Location: Starts at the Museum and ends at Fort Tejon. Cost: $5.00 per person. No children under the age of ten please. Bring your own lunch and drinks. Cost: $5.00 per person-No children under the age of twelve, please. Time: 3:00 pm to 5::00 pm. Meet local crafters who will be selling their wares and demonstrate their crafts. To save and print a copy of the Schedule of Events for 2012, click the link below. Additional events will be added throughout the year. Visit the Ridge Route Communities Museum and Historical Society Website by clicking the link below. 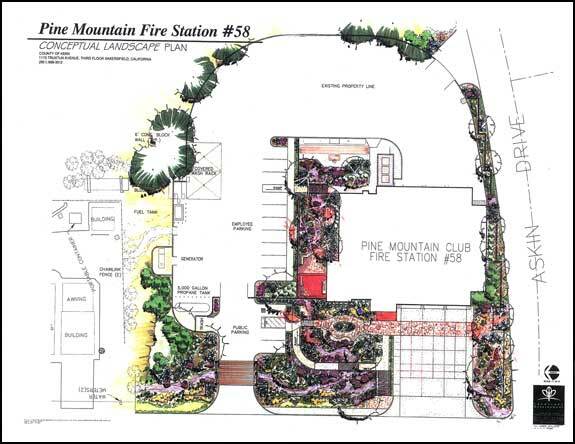 The new Kern County Fire Station #58 should break ground by the end of this summer. On March 24, 2009 an allocation of 5 million dollars was made for the new fire station. Since then bids have gone out but came in over budget. The plans have been reworked and bids have gone out again. The Kern County Fire Department provides fire protection for an area that spans 8000 square miles. Currently KCFD staffs 46 fire stations and has an air operations division with 2 helicopters, capable of water drops, hoist rescues and equipped with night vision capabilities. The department’s air division also includes a fixed wing aircraft that assists in wild fires and helps cover the vast 8000 square miles of its jurisdiction. 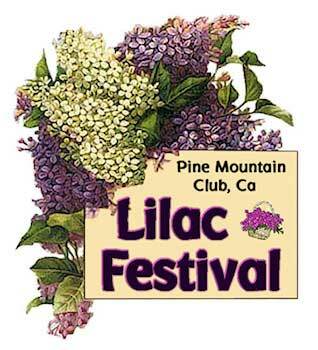 The dates have been announced for this year’s Pine Mountain Club “Lilac Festival.” The event will be held in Pine Mountain Village on Saturday and Sunday, May 19 and 20. The schedule of events will be posted on the Lilac Festival web site early this spring. For more information on the schedule of events, setting up a booth or submitting a parade application, visit the Lilac Festival website. Complete bid packages on each of the 13 lots are available in the PMCPOA Business Office and by clicking on the “Board Meeting Documents” section under “The Association” menu item on the left. Each property has a minimum bid requirement. Packages contain available property information such as topographical charts, location maps, lot dimensions, septic tank and sewage disposal data and access information. Packets are due back to the PMC Business Office no later than 5 p.m. on January 18, 2012, which is the Wednesday prior to the January 2012 regular meeting of the Board of Directors. For more information, please call the PMCPOA Business Office at 661-242-3788. 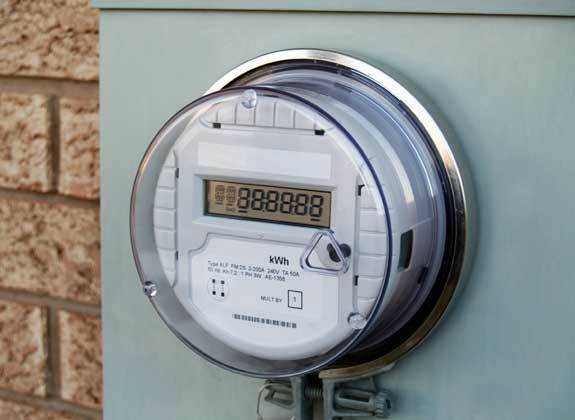 Southern California Edison is in the process of installing “Smart Meters” throughout the Mountain Communities. According to Edison, the Smart Meters play an important role in conserving energy and are a logical step in replacing older mechanical meters. Homeowners will be able to monitor their energy usage more accurately and there will be new rate plans that guide customers to more economical usage patterns. The switch to Smart Meters is not without controversy. In August, there was a debate in the Santa Barbara City Council regarding these changes. The public turned out en masse to declare their concern and distrust of the soon to be released in-home electricity usage devices. Some residents expressed their fear that the devices will bring a host of both known and unknown adverse health effects while simultaneously violating the privacy rights of those being monitored by the devices. Recently, the California Public Utility Commission made a request to Southern California Edison and San Diego Gas & Electric, to create a framework to allow customers to opt-out. Some Public Utility Commissions around the country have been successful in getting the utility companies to offer a low fee-based opt-out option for their customers. The outcome of the CPUC request could be months away. While the CPUC completes its regulatory process regarding a customer's choice to opt-out, Edison has set up a delay Smart Meter installation list. For Mountain Residents that would like more time in making their decision over the new meters you can call Southern California Edison 24/7 at (800) 810-2369 to be placed on the delay installation list. 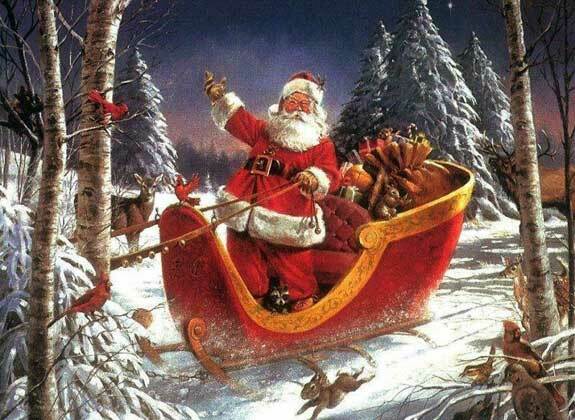 Mountain Life: Santa Claus Is Coming To Town! Mark your calendar for Friday December 9th. Santa Claus will be visiting Pine Mountain Club. Weather permitting; Santa will board his sleigh outside Mad Bailey's Pub at 5:00 p.m. The sleigh will have room for carolers of all ages who want to get into the Christmas Spirit. The sleigh will be followed by carolers and will visit several locations in Pine Mountain Club Village. Treats will be served at Robin Hood Jewelers and then Santa will greet children at the new Wine and Art Gallery Cafe at 6:00 p.m. If the weather turns “frightful” Santa will skip the sleigh ride and go directly to the Wine and Art Gallery Cafe at 6:00 p.m. This special holiday event is sponsored by the Pine Mountain Village Merchants Association. Merry Christmas! The Carrizo Plain National Monument lies west of Pine Mountain Club and is the largest single native grassland remaining in California. 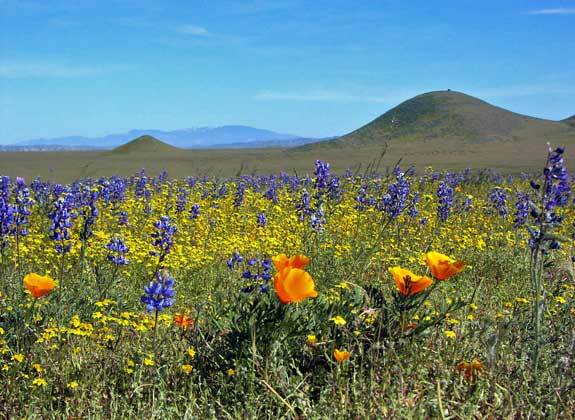 The 200,000 acre Carrizo Plain is one of the most bio diverse and productive ecosystems in California. Recreational opportunities available on the Carrizo Plain include birding, camping, The Goodwin Education Center, hiking and bicycling, horseback riding, wildflower viewing and tours from the Goodwin Education Center. It is often said the Carrizo Plain is reminiscent of what the Great Central Valley used to be. During springtime wildflowers are abundant and John Muir once wrote that during the spring one footstep would press about 100 flowers. The area is home to many animals. Tule Elk and Pronghorn Antelope have been reintroduced into the area. Many raptors, including Redtail Hawks, Golden Eagles, Kites, Harriers, Owls and others can be found year round. The California Condor has been reintroduced nearby and can occasionally be seen over the plain. The Painted Rock pictograph site is recognized internationally as among the best examples of rock art in the world. Painted Rock is a sandstone alcove adorned with Chumash and Yokut pictographs and rock art dating from 2000 BC. It is listed on the National Register of Historic Places. Permits are required to visit Painted Rock. The most prevalent geologic feature of the Carrizo Plain is the San Andreas Fault. Although the fault runs through California all the way from Cape Mendocino to just south of Los Angles, the Carrizo Plain remains one of the best places to study it. The section of the fault line in the Carrizo Plain is the oldest section of the San Andreas Fault and displays plate tectonics quite dramatically. 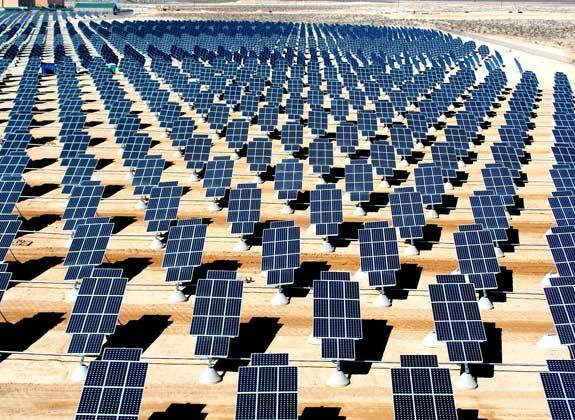 When fully operational, Antelope Valley Solar Ranch One will be one of the largest solar photovoltaic projects in the world, with approximately 3.8 million solar panels. The project is owned and operated by Exelon Solar. (Link It: www.exeloncorp.com) The 230-megawatt solar power plant is under construction near the Frazier Mountain Communities off highway 138 in Antelope Valley. The project is slated to be online in late 2012 and fully operational in late 2013. The project is expected to create up to 400 construction jobs and up to 15 ongoing operations and maintenance positions, with an emphasis on hiring workers from the local area. When journalist and animal welfare advocate Michelle Sathe turned 40, she bypassed a midlife crisis for a great American road trip. But this wasn’t just any road trip…along for the ride is Loren, a rescued four-year old female pit bull, whom Sathe fell in love with while volunteering at The Brittany Foundation, a no-kill rescue in Southern California. 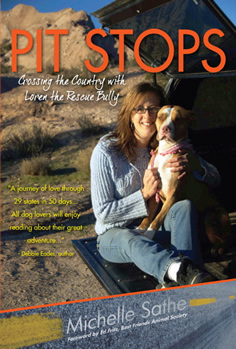 Their exciting adventure is told in “Pit Stops: Crossing the Country with Loren the Rescue Bully” (Say The Words Press), available for $15 exclusively at www.pitstopsbook.com. Sathe and Loren set out to explore 29 states in 50 days, for a whirlwind sampling of regional cuisine, historic landmarks, and just plain fun. They get to see places most Americans dream of: the Grand Canyon, Niagara Falls, the Great Plains, and Savannah’s scenic waterfront. The duo also came face to face with the nightmare of pit bull prejudice and the sad reality facing beleaguered bully breeds in America’s shelters. In places like Virginia, where Michael Vick was convicted of torturing and killing pit bulls in a gruesome dog-fighting ring, and New Orleans, a dangerous underworld where bullies are routinely kept as enforcement, “Pit Stops” exposes the brutal tragedies man has inflicted on these most loyal creatures. “Pit Stops” also shines a light on the incredible humane workers and advocates from coast to coast that are doing everything in their power to give bullies a second chance. Mile by mile, whether they’re avoiding Ohio due to breed specific legislation or making the unlikeliest of friends in the Deep South, Sathe and Loren forged a bond that only 24/7 togetherness can create. Their exploits take readers along on an unforgettable journey filled with laughter, sadness, insight, and ultimately, hope. To support rescues and advocacy efforts, Sathe is offering a special limited edition Loren bookmark paired with a copy of “Pit Stops” for $20 and will donate $5 back from the purchase to the organization of the buyer’s choice. $1 from each copy of “Pit Stops” will benefit The Brittany Foundation. Michelle Sathe is a features writer with the Santa Clarita Valley Signal in Southern California. As a journalist, Sathe has covered news stories on local shelters and profiled many animal welfare organizations and highly-regarded members of the Los Angeles rescue community. Sathe is the proud dog mom of two rescued bully mixes, Sam and Buster, resides in Pine Mountain Club, California, and is a board member for The Brittany Foundation and Bow-Wows & Meows, Inc, which adopts out Los Angeles County Shelter animals through an annual pet fair. She can be reached by email at sathewords@yahoo.com. The new Frazier Park Library is slated to open next Spring. In combination with the Frazier Park Beautification Project this should breathe fresh life into the Mountain Communities. The new library is approximately 10,000 square feet and can hold about 35,000 books. The building is an architectural gem with “craftsman style” design elements and an overall “mountain feel” to it. Located across from Frazier Mountain Park, the library will have views of the mountains, the expansive lawns of the park and the beautiful oaks that the community is so proud of. The Frazier Park Library has come a long way from it's humble beginnings. The library started in a small house, then was a bookmobile and finally the current 1,300 square foot building. Stay current with community events and the grand opening of the Frazier Park Library on the Mountain Living blog at pinemountainclubrealestate.com. Driving down Mt. Pinos Way in Frazier Park you can't miss Top Drawer Custom Woodwork owned by Jack Lelah. At first glance you can see from the beautifully landscaped and maintained building that this Designer/Artist/Craftsman has an eye for detail. Upon close inspection, the sign on the building alone is a testimony to his work. The frame of his business sign is made of Honduras Mahogany with fluted stiles, nine inch dental crown molding and 15 coats of marine spar varnish applied as an exterior finish. This is not your everyday business sign! The 5,000 square foot facility is equipped with every state of the art wood working tool imaginable and is well organized and clean. Jack Lelah has been a working with exotic and domestic woods for over 31 years. He specializes in Custom Cabinets, Hand Crafted Furniture, Fireplace Mantels and Crown Moulding. I've had the opportunity to see quite a bit of this man's work and whether it be architectural millwork or furniture, each piece is a bit of artistry in wood. Go to www.topdrawerwoodwork.com for photos of some of Jack Lelah's projects. The big skies over Pine Mountain Club, Cuddy Valley and the greater Frazier Park area are alive with spectacular sunrises and sunsets that give way to star-studded nights year around but the most breathtaking of all is when a storm moves through the area. Last week was such a time when fast moving thunder storms created incredible shows of swirling cloud canopies of dark and light that offered magnificent displays of color that played off the mountain peaks and valleys -- a beauty seldom ever seen in Southern California. Sometimes in Pine Mountain Club we get a surprise snowfall in early spring. When the snow falls on the blossoms of the Plum Tree it gives us a great opportunity to take some spectacular photographs. The last snowfall in Pine Mountain Club was on April 30th and this was the scene in the Pine Mountain Village just outside our office. On Sunday, March 28, the Pine Mountain Inn held its grand opening. The event was anticipated by the entire community and guests were impressed by the complete remodel of the establishment. The Pine Mountain Inn stands in a quiet corner of Pine Mountain Village across from the town gazebo. The many outdoor seating areas are the perfect place to step away from the hustle and bustle of everyday life and relax amidst the backdrop of the San Emigdio Mountains. Upon entering the inviting gathering room/lobby, you’ll see details that are reflected throughout the Inn. Tastefully designed interiors with soft colors, comfortable furniture and interesting art are featured in all rooms. The cozy setting invites you to nestle in, read the paper, watch a movie or curl up with a good book. Every morning, a light continental breakfast is served at the Pine Mountain Inn’s gathering room or if you prefer a full American breakfast, there are several options nearby. Guests are encouraged to take advantage of all club amenities at Pine Mountain Club; including golf, tennis, swimming and equestrian events...all in one of the most beautiful settings in Southern California. There are any number of hiking trails within Pine Mountain Club and endless possibilities within the Los Padres National Forest which surrounds the community. If you enjoy Cross Country Skiing, some of the best in North America is on top of Mt. Pinos just a short drive from the village. Pine Mountain Village is also the perfect place to just take a stroll and visit the different shops and restaurants within easy walking distance of the Inn. You can be as active or laidback as you like at the Pine Mountain Inn. Innkeepers Diana Chase and Alice Peternel invite you to experience relaxation and privacy in the beautifully appointed rooms. First of all, what an incredible job you did. It looks amazing. How long did it take you to remodel? Diana Chase: I purchased the building in April 2009 and the remodel took about a year. The building was solid but it needed a complete remodel on the interior and lots of attention to the exterior as well. We had a few setbacks but we took our time and did it right. We didn’t want to launch the new Pine Mountain Inn until everything was in place and we had accomplished our goals. Everyone I spoke to at the Open House remarked about the beautiful interiors. Who designed them? Diana Chase: My business partner Alice Peternel did the interiors of the Inn and I have to say she did an incredible job. We worked on themes for the rooms together and Alice interpreted our themes into the finished product you see today. She searched for furniture from La Conchita to Santa Maria…piece by piece, she put together something really special for our guests. You’ll find things here that will surprise you, like the fireplaces in some of our rooms with reclaimed log mantles that are truly spectacular. There are hardwood floors throughout, beautiful linens, interesting artwork and gorgeous bathrooms with tumbled travertine tile and deep soaking tubs. Alice is my fellow Innkeeper and also owns the Mountain Mercantile next door, which compliments the Inn. We’ve been best friends for ages and we work well together. How did you find Pine Mountain Club and what made you decide to move here? Diana Chase: I’d been to visit Alice any number of times and fell in love with Pine Mountain Club. I’m from Santa Barbara and was looking to relocate to a more affordable, rural area where I could be close to friends and enjoy the mountain lifestyle I’d experienced while visiting. It was actually an easy transition for me. Starting a new business venture in the current economic climate is quite a commitment. Was this a difficult decision for you? Diana Chase: I gave it a lot of thought when the opportunity presented itself. I love being here and it seemed the community needed a boost. I thought it was a win-win situation. I spent a great deal of time doing research and really did my homework before and during the remodel. I also spent time learning the business at an establishment on the coast. I know the economy is in bad shape right now but I have a business plan for the current economic situation…we can only go up from here. Did you have other help getting off the ground or were you pretty much self-sufficient? Diana Chase: I had great help from my General Contractor Kip Storz on the remodel, from my web site designer Jerry Ferris and from Matt Peternel. I also worked with incredible people who really wanted us to be a success. They were all instrumental in helping us achieve our goals. It’s really been a community effort. What has the feedback been so far? Diana Chase: Basically it’s been… wow! The community seems very proud to have a new establishment like ours and just in time for the Lilac Festival! We made 15 reservations in the first hour and a half we were officially open. I couldn’t ask for a better reception and it’s been really exciting. Diana Chase: Once things have settled down a bit, I’m looking forward to getting back into photography. It’s one of my passions and I worked in that field for many years. If you take a look around the Inn you’ll see some of the work I’ve done recently…there’s more to come! Rooms: 7, 1 Wheelchair Accessible. Pets: Yes, call for details. Amenities: Free Wireless Internet, Flat Screen TV’s with DVD Player and Direct TV, Coffee Maker, Alarm Clock, Fireplaces are supplied with “Javalogs”…fire logs made from used coffee grounds that burn 3 times brighter and 5 times longer. In early September Kim Bucio, formerly of Sage and Cinnamon and the Sweet Shoppe, took over as Chef of Bistro on the Greens. This was met with much fanfare as Kim is well known in the Mountain Communities for being an excellent Chef who takes pride in her presentation and ingredients. I was really looking forward to seeing the changes to the Bistro's decor and menu. Diners have the choice of taking their dinner in the Condor Room of the Club which is next to the lounge or downstairs in the Bistro. There is entertainment in the lounge on some nights ranging from Celtic Jam to Soft Rock and Country. The Bistro has been remodeled and the new decor is light and airy with a refined feel to the space. Dinner is served by candlelight and with linen tablecloths. There are views of the Pine Mountain Club Golf Course which was illuminated by a full moon on the evening I was there. The restrooms were spotless and there was a thoughtfully designed sitting area outside in the hall. The other patrons were a cross section of locals and visitors to the area. The wait staff were young, energetic and very friendly. Dress is mountain casual. The Bistro serves a diverse variety of wines from California, Italy, France, Chile, Argentina and Spain. At the time of my visit the wine list was being updated. French Champagne, California Sparkling Wine and Spanish Cava are also served. We started our meal with a mixed salad of organic greens followed by a bowl of creamy clam chowder. The salad was fresh and light and the soup was perfect for a cold winter day. Next we had an appetizer of Sesame Seared Ahi Tuna. This was served rare and presented with an Asian cucumber salad. The portions were so large that I have to remember to return and have this appetizer as a main course sometime. There were quite a few interesting options on the menu and we opted for the Citrus Glazed Halibut and Chicken Oscar. The halibut was char grilled and topped with sweet and spicy orange blossom nectar. It was very moist and served with your choice of garlic mashed potatoes, baked russet potato or sweet potato. The chicken was tender and juicy. It was topped with shrimp, lump crab and asparagus then drizzled with Béarnaise sauce. The garlic mashed potatoes were simply the best I've ever had...loaded with garlic and pepper they were sheer heaven in every spoonful. When the desert tray came out it was extremely difficult to make a decision. Our choices included Almond Tiramisu, Carrot Cake, Key Lime Cheesecake, Chocolate Cake or Crème Brûlée. We settled on the Crème Brûlée and weren't disappointed. I am convinced the Bistro is simply the best restaurant in the Mountain Communities at this time. They take pride in their product and go out of their way to please their patrons. It is an asset to our community and a real convenience to have such a nice eating establishment in our area. I encourage everyone to go by and see what's new at the clubhouse! Open to members and guests. Winter – Dinner is served on Friday and Saturday. Breakfast and Lunch on Wed. through Sunday. Summer – Dinner is served on Thursday, Friday and Saturday. Breakfast and Lunch 7 days a week. Reservations are recommended during special events. Ample parking is available in the clubhouse parking lot. Most of us move to the mountains to enjoy the four seasons and for the peace and serenity of living in a small town environment. I purchased my home here in 1997 and was looking forward to my first winter with anticipation. Winter driving can be a challenge for those of us not used to snow conditions but with a little planning and a dose of caution I never suffered any mishaps. Luckily I knew my limitations and didn't venture out in my Honda Civic when the roads were icy. I had purchased a high tech traction device for my car and was able to get around most of the time. The most important thing I did was drive very slowly. It is very important to make sure your vehicle is in tip top shape before the winter snows arrive. Even if you have a 4 wheel drive or all wheel drive, ensure you have tires that are appropriate and with adequate tread left. For the most part, I used all season tires with a traction device when conditions warranted. Most of the time they were sufficient but there were times when they weren't. It's usually 2 wheel drive vehicles with no traction device that you see buried in a snow bank or off the road. Fortunately for all of us, Mountain Residents invested in guard rails along Mil Potrero Highway in the early 90's. During snow conditions, chains are usually required to drive into Pine Mountain Club. Many people use cables and others use traditional chains. Drivers of 4 wheel drive vehicles might consider buying chains for all 4 tires for the added traction. If you don't like the idea of having to install chains on the side of the road in the snow then you might consider the option I did...Spikes-Spiders. These are a Swiss made traction device that work incredibly well and are incredibly simple to install. The traction device is quickly put over the tire and secured with a hub attachment that you leave on your vehicle. The hub adapter is hidden by a decorative cover that is removed when you are ready to attach the device. You can have the Spikes-Spiders on your car and be on your way in about 5 minutes. You wouldn't believe the envious looks I got when I pulled over and installed them as other motorists were lying on the ground installing their chains. I was so impressed by these devices that I bought a second pair for my rear wheel drive pick up truck. The only draw back to Spikes-Spiders is that by the time you realize you need to have them on; you might already be in an area where you can't pull over. I now have a 4 wheel drive vehicle and this year I moved up to studded snow tires. We had predictions of a heavy winter coming and I wanted to be sure I could drive my clients around wherever they wished, safely and with a minimum of inconvenience. I can't believe I waited this long! These are the ultimate in my opinion. No need to stop and put on a traction device, you always have them on if you need them and the difference in getting around on snowy mountain roads was amazing. The one drawback would be if you had to drive to and from the city with them all the time...they probably wouldn't last as long as someone who just used them locally. The truth of the matter is that it's mostly commuters who purchase them. These are people who leave the mountain for work every day and need to know they will get where they're going. I was warned that in the rain it might take a little longer to stop with studded snow tires but I have driven in two rain storms in Los Angeles this year and I really didn't see any difference. I must admit though...I never had to slam on the brakes. If you'd like to have a look at Spikes-Spiders or studded snow tires, simply stop by the Pine Mountain Auto Center. They always have a display of both in front of the Service Station. You can also get more information online at www.spikes-spiders.com. One word of caution...Pine Mountain Auto Center has years of experience with studded snow tires and Spikes-Spiders. If you aren't familiar with tires and especially if you aren't able to install the permanent hub attachment for the Spikes-Spiders then you should leave it to the professionals. There are areas of Pine Mountain Club that can be particularly treacherous in snow and ice conditions. One might find completely different conditions in Pine Mountain Village at an elevation of about 5100 feet from the higher elevations of the community at about 7000 feet. Streets like Zion, Banff, Chestnut, Chestnut Court, Azalea, upper Woodland, upper Linden, upper Bernina and Lassen usually get snow first and it melts off last. There are also shady areas where ice can accumulate. Pine Mountain Club has 42 miles of paved, private roads that are plowed during snow storms. The larger streets are usually plowed first moving down to the less traveled “Lanes.” Lower Woodland from Bernina to Mil Potrero is known for very icy conditions. When the weather is really bad you should consider an alternate route. Freeman to Bernina and then up Woodland might be your best bet. Kern County is responsible for plowing Mil Potrero Highway and dropping volcanic cinders for traction. The “S Curves” should be driven with extreme caution and not attempted at all during snow and ice conditions by two wheel drive vehicles with no traction device. The county has clearly marked signs that state “Chains Required.” If you get stuck and don't have a traction device then you will probably be ticketed as well as having to pay for a Tow Truck. At areas where residential streets intersect with the highway you should give yourself extra space and time to stop if you have to. The intersection of Tirol Drive, above the “S Curves,” and Mil Potrero Highway is a double blind curve with a school bus stop. It can be quite unnerving to pull out onto the highway from Tirol even in good weather conditions. If you feel uncertain about making your turn from Tirol then just head down Voltaire to Glacier and make your turn there. From that vantage point you can see traffic coming from both directions. Living in the mountains is an adventure. With proper planning and knowing your limitations, you can enjoy all 4 seasons and usually be prepared for the worst that nature can throw at you. The two most important things....slow down and allow more room between you and the next car! It’s an investment alternative that's been around for over 30 years. In 1975, as part of the Employee Retirement Security Act of 1974 and the creation of Individual Retirement Accounts, Self-Directed IRAs were also permitted. At that time, qualified plans, such as Defined Benefit, Profit Sharing and Money Purchase Pension Plans, were self-directed. Since most financial institutions have little incentive to recommend anything other than stocks and mutual funds, most investors are not familiar with these types of transactions. These days, more and more savvy entrepreneurs are exploring all options to diversify their portfolios and find creative ways to purchase investment properties. With a Self-Directed IRA or Real Estate IRA, you make all the decisions regarding your investments. Before shopping for a property to buy with IRA funds, set up an account with a “custodial” firm and transfer assets from brokerage accounts holding existing 401ks and IRA funds. When everything is in place, you can move aggressively to purchase bargains in today's affordable housing market. The custodian holds title to the property in the account holders name, can steer rental income into mutual funds or stocks of their choosing and handles all paperwork with title companies. The deed will read in the custodians name “for the benefit of” the account holder. There should be sufficient liquid funds in the account for not only the purchase of the property, but also any repairs or costs associated with the property since there is a fee each time you sell stocks and transfer funds into the trust. Once everything is set up, the custodian can issue checks for your Earnest Money Deposit, repairs, etc. Some companies can even issue a credit card for purchases in a remodel. One word of caution -confirm with the custodian that the checks and credit card are authorized before you use them. Investors who purchase real estate through an IRA need to ensure that all IRS rules are followed or they risk disqualifying the account, which carries heavy penalties. Most important of all - no co-mingling of funds. Everything from the purchase and maintenance of the property to property taxes must be funded from the IRA. The Internal Revenue Service requires a custodian to hold the IRA assets and the custodian is required to report transactions on the account. Neither the investor nor their relatives can live in the property. The most straightforward way to make these kind of investments is with all cash. If your IRA doesn't have sufficient assets to do this, then there are other options, although it gets more complicated. You can partner with yourself, paying part from personal funds or partner with other IRA account owners. There are also a few specialty lenders that offer mortgages to IRA investors but they must put down a minimum of 30 percent and pay a higher interest rate. Capital-gains tax on an IRA-sold property can be deferred or eliminated in some cases. Any rental income or profits go directly into the account where it can grow further. Keep in mind that investors can't take the usual deductions for real estate transactions conducted through a tax sheltered account, which are subject to many regulations and can be somewhat complex. If you get caught breaking the rules, you could face some stiff penalties. Stay with what you know and hang on! If you know your market, have the opportunity to purchase a significantly undervalued asset and are willing to hang on to it for five years or more, then the Self-Directed IRA might be just the vehicle for you to make some solid gains in your portfolio. The real beauty of this sort of investment is that it gives you the freedom to invest in a product you know. For more information about Self- Directed IRAs, consult your tax adviser and a custodial firm. Fees at custodial firms can vary so it's always a good idea to shop around. Recently I represented a client in the purchase of a home through a Self-Directed IRA trust. The custodian they chose is a company called The Entrust Group of Oakland, Calif.
What percentage of your clients assets are in Real Estate? Lamarr: 50 to 60% of my clients assets are in Real Estate. Are you seeing more growth in self directed IRA Trusts? Lamarr: Yes. Now that investors are becoming aware of Self-Directed IRA accounts and the TRUE diversification they offer along with the control over their investment options, they are quickly moving some, if not all of their funds, from the conventional investment firms. What is the most important thing to keep in mind when choosing a custodian? Lamarr: Their standing in the industry, reputation of the organization, knowledge level of the various types of investments used in self-directed investment and a high level of customer service from the entire organization. What kind of costs are associated with setting up and administering an IRA Trust? Lamarr: For the most common investments, there‘s a $50 setup fee, $250 annual fee and $95 buy/sell direction fee. There could be other fees, such as bank fees for wire transfers, rush fees, etc. Anything new and exciting on the horizon for investors? Lamarr: Because banks are still not lending, many investors are becoming hard money lenders with their investment secured by real estate, UCC-1, personal property, accounts receivables, etc. There is a huge demand out there for hard money loans and with knowledge of the process and/or the right team, there's a lot of money to be made to grow your retirement account quickly. “At first the process sounds very simple but it isn't. In order for the system to work, one needs to know exactly what the closing costs will be in purchasing a property...if you're off by any amount (even $1.00) it will cause a delay in funding. So as they say in real estate...location, location, location...with a self-directed IRA trust it's funding, funding, funding. Secondly, you cannot co-mingle funds. All expenses and capital must be funded through the trust. The buyer cannot use any funds other than what is deposited in the trust for any expenses. Utilities, maintenance, supplies, etc. must be purchased via the trust. Entrust provided us with a debit card and checking account in the name of the trust. That debit account is a separate account from the basic trust account. Funds must be moved from the primary account to the debit account to cover any expenses. It's rather convoluted. Any income (such as rental income) must be made in the name of the account...called an FBO (for the benefit of...) and funds to be paid other than through the debit/checking account must be done on a letter of authorization to the trust. In turn, the trust will issue the check to the vendor. A $5.00 service fee is charged for each check and if money is to be wired there is a minimum $10.00 charge. In practice, if I have a $20.00 phone bill, it costs $5.00 to pay it. The account must be constantly monitored because some vendors bill directly to the trust. I try to have all invoices mailed or faxed directly to me and then I issue the authorization for payment. I'm sure there will be other things come up. I just haven't experienced them yet since we just invested in the property. This article focuses on the basics of Self Directed IRA Trusts. You should consult with your tax advisor before making this type of investment. The modern septic system is an extremely efficient way to dispose of sewage and it’s environmentally friendly, as well. It simply uses gravity...no motors, fuel or noise. Waste-water goes from the tank to the leach-field where the soil completes the process of purifying bacteria and viruses. With suitable soil and a healthy system, septic systems return clean water to the water table or to plants. There are two major components of a septic system - the septic tank and the leach-field. Waste-water flows from the house via gravity to the tank where solids go. The waste-water without the solids goes to the leach-field where the soil finishes the filtering process. Modern septic tanks are usually made of concrete, fiberglass or plastic and commonly consist of two chambers. In the tank, the solids are separated from the waste-water. The solids are stored and decompose. An opening in the internal wall allows the waste-water to flow from one chamber to the next. The top of the tank has two manholes for pumping of the tank and inspection. A properly designed and used septic system should have the capacity to store solids for three to five years depending on how many people reside in the home and the soil type. The septic system is a living system. You've heard the saying “You are what you eat”? The same goes for your septic system. Be extremely careful about what you put down the drain...be nice to your septic and it will be nice to you! Reduce the amount of liquids going down the drain. The less water you use, the more time the solids have to break down in the tank. Reduce the amount of solids going down the drain. The garbage disposal is your enemy! Never put food down the garbage disposal, make sure to thorough scrape off dishes and dispose of all grease before washing. Don't use your septic system to dispose of anything that can be disposed of in any other way. Be careful what you put down the drain. Any type of chemical is a bad idea...especially drain cleaners, strong cleaning agents and root deterrent. Septic system additives are a waste of money and can damage the system. You don't need enzymes: they are naturally present in the sewage. Products that claim to avoid tank pumping are the worst. They actually break down the scum and sludge into small particles, which are then easily flushed out into the leach-field, which in turn increases the chance of leach-field failure. Excessive chlorine bleach is very unfriendly to the microorganisms in the system. Facial tissues, paper towels, and anything other than toilet paper is extremely hard to breakdown. The most important thing to remember is your responsibility as a homeowner and member of the community is to keep your system in good working order. Systems that fail can potentially pollute the groundwater. I spoke to Molina Santana, owner of Santana's Pumping of Lebec, about septic systems here in the Mountain Communities and in general. Mr. Santana has worked in this area for many years and is very knowledgeable about his field. What is the most important thing you can do to keep your septic system healthy? Santana: The most important thing you can do is maintenance on your system. A family of five in a community with type three soil should plan on pumping every three years. A couple living in the same community might need to pump only every five years but the tank should be inspected at three years. A lot depends on how many guests you have. In a community with clay soil, such as Pinon Pines, the same family of five will need to pump every two years. Can you drive a vehicle or park over a septic tank or leach-field? Santana: You can park and even put a concrete driveway over a septic tank and leach-field but there codes regarding this. The tank must be a “Traffic Rated” tank. The tank should be made of concrete since steel and plastic tanks won’t hold up to the weight. With a leach-field you must extend the field from 10-20% further if there is a driveway over it to compensate for the lack of evaporation under the driveway area. Which types of tanks do you think are the best? Santana: Generally speaking I think the new plastic tanks are the best, depending on the location. Plastic tanks cannot be driven over and may not be buried any deeper than three feet due to the weight of wet soil over the tank. If a house is unoccupied for long periods of time then a concrete or steel tank is a poor choice. What is your opinion of commercially sold additives to septic systems? Santana: These additives are designed for cesspools, not septic systems. They do more harm than good. The additives break down the solids and then they are flushed into the leach-field, where they seal off the biomatt that lines the trench. The water cannot be absorbed into the soil or evaporate. Then you have a problem. If you want to put something in your tank then the only thing I would recommend is some ground beef. It's a lot less expensive and actually works. The only time I use an additive is when I have a clogged leach-field. There is an organic compound that we flush through the pipes of a drain-field in instances where solids have entered the leach-field This organic substance clears the solids. With proper maintenance, this should never be necessary. Do water softeners hurt septic systems? Santana: They don't appear to hurt the drain-field but salt can be harmful to concrete or steel tanks. Potassium is best. Do you think it's a good idea to install risers or manholes over your tank? Santana: Having manholes makes it very easy to inspect the tank. You can check the level of solids yourself, if you choose to do so. There is no labor involved in finding the tank. We can send a truck out to inspect the level and if everything looks OK, then you can wait for pumping until your next inspection. Sometimes when I'm showing property in the Mountain Communities, I occasionally can smell septic gas in the area. Does this mean someone’s system has failed? Santana: Not necessarily. It could be that the vent pipe was not installed according to code. The code for vent pipes is they should extend 12 inches higher than the highest point on the roof. If say, someone is taking a shower in the house and you are next door at a lower elevation, then you might smell the septic gas. I come across this all the time. If your septic system fails, do you generally see water pooling in the area of the drain-field? Santana: Sometimes you do and sometimes you don't. For instance, if the leach lines are buried deeply you probably won't see this. Your first indication might be when the sewage backs up into the house. With the water build up underground, the tank level can rise which in turn causes the sewer to back up into the residence. This article focuses on the basics of a septic system. You should consult a professional when you purchase a new home or if you suspect you have a problem with your existing system. Any Realtor will tell you that having a good Escrow Officer on your team is a cornerstone to your success in real estate. Simply put, the Escrow Officer is a neutral third party who works for both the buyer and seller until all terms of the agreement are met. Real Estate transactions involve large sums of money and stacks of paperwork, so an Escrow Officer who is prepared and detail oriented is priceless. The time frame of the close date is a goal, Gragg added, it is not a drop dead date. There are several factors that can delay a closing. When buying or selling a home, there are many hoops to jump through. In the current market with the number of foreclosures and short sales available, it becomes even more important for buyers and sellers to stay on top of things and make sure their part of the process is completed on time. With time of the essence...be sure to get all documents out to your escrow officer as soon as possible. When a surprise comes up at the last minute you'll have one less thing to worry about and I guarantee you, you'll be glad you did. One of the nice things about living in Pine Mountain Club is our water supply. Our water is delivered fresh from underground artesian wells by our resident owned water company. With so many cities in Southern California reporting traces of industrial chemical and pharmaceuticals in their drinking water, residents of Pine Mountain Club enjoy fresh mountain spring water straight from the source. While water is in the ground, it picks up soluble bits of whatever it passes through. Minerals found in rocks like calcium and magnesium are what make water in Pine Mountain Club hard. Hard water is less an issue of health than of nuisance when you cook and bathe. It can also be an issue of potential expense as scale and lime deposits can take a toll on appliances and hot water heaters. It can also cause a build-up in plumbing pipes. In the kitchen you might notice spotted dishes and scale on cookware. When bathing, hard water requires more soap and shampoo and you need to spend more time rinsing to get off all the residue. Hard water can change your skins Ph balance, which in turn can cause irritation, and if soap remains on the skin it can cause clogged pores. After moving to Pine Mountain Club, I noticed an itchiness to my skin and my hands seemed very dry when I finished washing my car or cooking a meal. When I remodeled my home and bought new appliances, I decided to purchase a water softener to protect my investment and for my own personal comfort. I noticed a difference immediately. The itchiness was gone, I used less soap for bathing and cleaning, and my dishes had less spots. When I washed my car there was less residue and my laundry seemed cleaner and brighter. I chose to use potassium chloride as opposed to sodium chloride so I could continue to water my plants on the softened water system. I also thought it would be healthier than salt. Potassium is a bit more expensive and may not be suitable for people on potassium-restricted diets. Calcium and magnesium in the water are replaced with sodium or potassium. Since these don't leave residue in pipes or react badly with soap, both of the problems with hard water are eliminated. The water in the house runs through a bed of small plastic beads in the softener. The beads are covered in potassium or sodium and swap places with the minerals that cause the water to be hard. Eventually, when the beads contain only calcium and magnesium, they stop softening the water. That's when the regeneration process begins. The regeneration is usually on a timer and involves soaking the beads in a brine solution of sodium or potassium. The brine is flushed through the beads with all the calcium, magnesium and remaining brine going out through a pipe. Bill Tarr is a local plumber and installs many water softeners in the Mountain Communities. He has years of experience dealing with the specifics of softening water in our area. Will hard water hurt my plumbing system? Bill Tarr: The hard water causes calcification in your pipes and appliances that heat water, such as water heaters, dishwashers and washing machines. I've seen homes here in Pine Mountain Club where the water heater had to be replaced every couple of years due to the hard water. What types of water softeners are there and which type do you recommend? Do you recommend sodium chloride or potassium chloride? Bill Tarr: Definitely potassium...it's better for your health, the environment and your septic tank. The only reason I would not recommend potassium was if a client was on a potassium restricted diet. Are there on-demand water softeners or do they regenerate daily? Bill Tarr: The units I generally install here in Pine Mountain Club are on-demand units. They regenerate depending on how much water you use. At my house I don't use a lot of water...sometimes I hear it regenerating only once a week. An on-demand unit saves water and is easier on your septic system. How much does a good quality water softener cost and how long do they generally last? Is there a warranty? Bill Tarr: I installed the water softener in my home 10 years ago and it's still conditioning the water very well. I would say they can easily last 15 years...even with our harder than normal water. The warranty that comes with a unit is usually a one-year warranty. A good quality water softener will cost about $2000.00. You can spend a lot more but for something that will work here in the mountains that is what you should expect to spend. You can get units for as little as $600.00 but they won't last very long. I replace these types of units all the time. What is your opinion of water softeners sold in retail establishments? What about the water conditioning magnets you see advertised? This article focuses on the basics of Water Softeners. Please consult a professional when you purchase a new home, purchase a new water softener or have a problem with your existing system. It seems every time I watch the news I hear reports about the water shortage in the United States and globally. In California, it seems we are now at the crisis stage. Although locally we haven't seen a huge impact, I believe it is time to start looking at ways to conserve and change our use patterns. 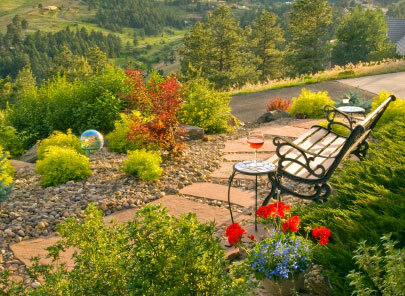 Here in Pine Mountain Club, most residents elect to have a more natural look to their landscaping. You do occasionally see lawns in this area but they are generally few a far between. In my opinion, there's nothing quite like a beautiful, well maintained lawn but there are interesting alternatives that are equally if not more beautiful. Alternatives for traditional lawns are Buffalo Grass and Dwarf Fescue which are disease resistant, drought tolerant and don't require much mowing. The use of Xeric plants for your garden will greatly reduce the need for watering and maintenance. One of the best sources of ideas and plants is the company “High Country Gardens” of Santa Fe, New Mexico – www.highcountrygardens.com. They have a beautiful selection of plants, grasses, fertilizers, books and they actually sell preplanned gardens - everything you need for Xeric planting. Another great resource for gardening information in general is the “High Country Gardener” section of the Mountain Enterprise which is published every week. Michelle Maga of Cuddy Valley writes about planting and gardening in our unique mountain environment. Of course even drought tolerant plants need water...especially to get started. By using a drip-system you can deliver the water to exactly where it's needed and by using mulch you will hold the water and control evaporation and run off. Rain barrels connected to your homes gutter system can store and deliver water to exactly where it's needed. Gardeners Supply (www.gardenerssupply.com) is another great catalog that sells all kinds of rain barrels. Depending on where you live, you might be able to install a gray-water system. These systems conserve water by sending water from places like the bathtub and washing machine to your garden. They can be incredibly complex systems or as simple as a bucket and siphon hose. When appendix J of the Uniform Building Code took effect in California in 1994, an unfortunate requirement of this ordinance was that gray-water systems are required to have a mini-leach-field buried at a depth of 17-18 inches. This puts waste water too deep in the soil to be of use to gardeners, as well as reducing the cleansing action of micro organisms which reside in the top foot of soil. Molina Santana of Santana's Pumping said that code calls for a separate septic system for gray-water. Most homeowners don't want to make this sort of investment and the county would not approve two septic systems on one lot. There are some simple ideas that can be effective on a smaller scale, though. The easiest of all gray-water systems is the dishpan dump. When finished washing the dishes, simply dump the dishpan in your flowerbed. You can also use the water that normally runs down the drain while waiting for your hot water heater to kick in. Creative homeowners can develop all kinds of ways to deliver the water conveniently. Many people have outdoor showers for use before getting into the pool or spa. Perhaps you could explore the possibility of installing one for use in the warm months and have that water diverted to the garden. This would avoid costly changes to your homes existing plumbing system. The washing machine is also a great source of gray-water. Diverting this water also reduces the chance of your drain-field being clogged by synthetic fibers that come from your laundry. Gray-water does have bacteria, so it is very important to get it underground and not have it pooling on the surface. Whichever system you choose to design, it is important that no human or animal contact takes place before purification. Gray-water must pass slowly through healthy topsoil for natural purification to occur. For more information on gray-water systems go to www.oasisdesign.com. 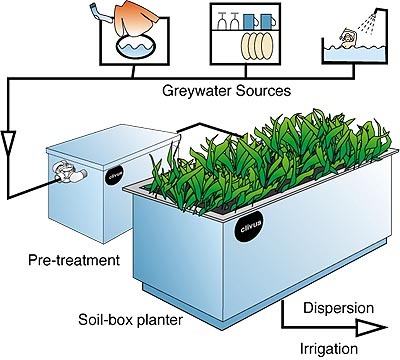 This article is about the basics of Xeric Plants and Gray-water Systems. Please contact a professional and Kern County before installing any gray-water system. 2010-2016 © Copyright Pine Mountain Club Real Estate. All rights Reserved. 2010-2016 © Copyright Fox Interactive. 2010-2016 © Copyright Prescott Photography. Website Developed and Managed by PCPal Computer Services — 661-245-0100. Brokerage Services Provided by Jennings Realty. The information presented on this site is deemed reliable but is not guaranteed. All information including information presented on the MLS should be independently verified. All properties are subject to prior sale, change and withdrawal from the market. Neither listing broker(s) nor Pine Mountain Club Real Estate shall be responsible for any typographical errors or misinformation.